Are you ready to conquer our course? Walls. Doors. Ropes. Swings. Warps. Bars. Balls. Beams….and more. When you think you have all of our unique obstacle elements figured out, we’ll challenge you to a race! 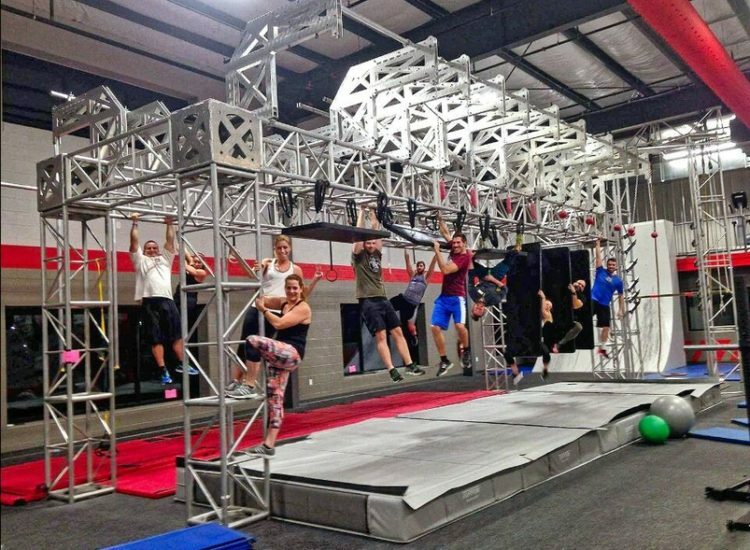 Did you know that our recROC Obstacle Course is custom-fabricated from recovered and recycled stages and sets from famous musical tours?! Tait Towers and Clair customized components to construct a completely unique course! A front desk built from Beyonce sets? Walls built from Tim McGraw’s concert deck? A visit to recROC is like a backstage tour! Customize the challenge in your obstacle adventure, train for your next competition, or exercise your mind through obstacle strategy! 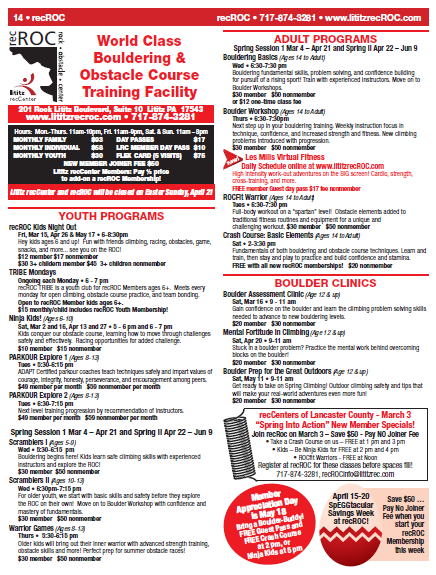 What’s our Obstacle Course like? Check out this Penn Live video for a sneak peek!